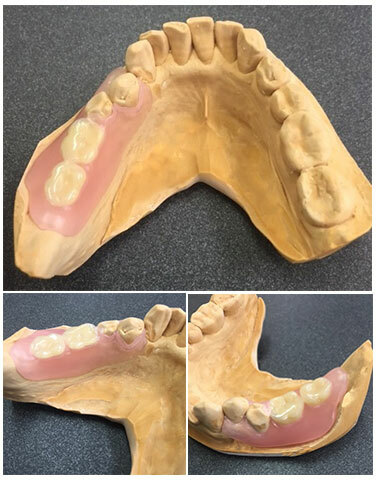 Patient was previously wearing acrylic denture. 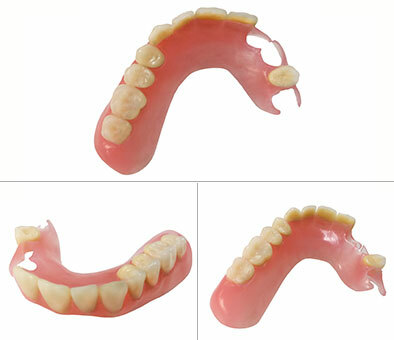 Patient is wearing a WELDENZ partial denture. Her alignment was also corrected. Patient wears a WELDENZ bridge. 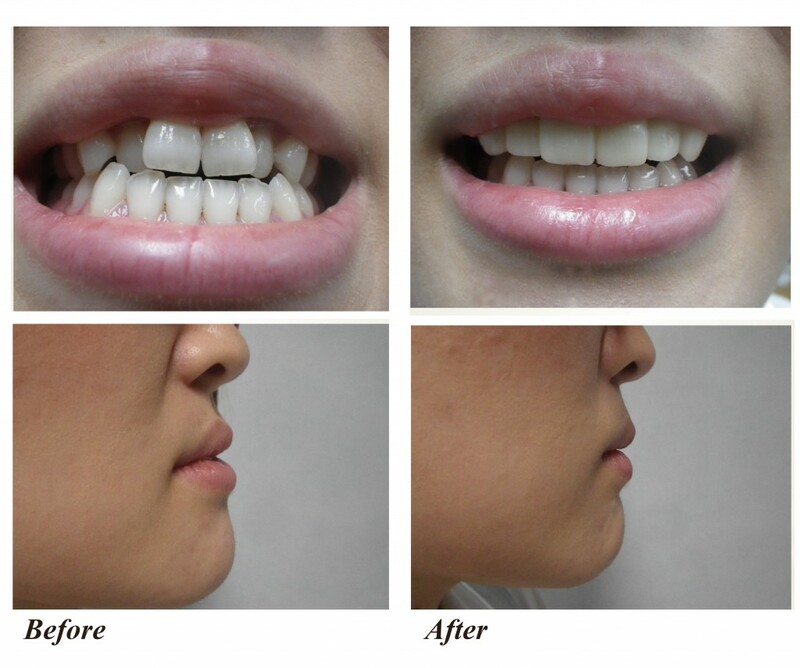 Her misaligned teeth and alignment are corrected. Left mandibular teeth 6,7 are lost. 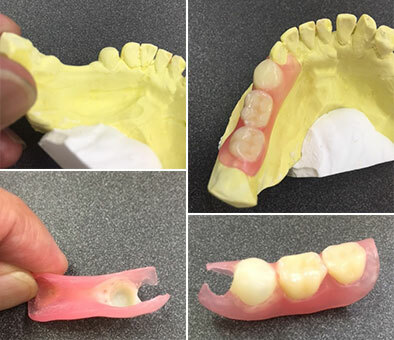 We fabricated a WELDENZ non-clasp denture which used 4,5 as clasped teeth. Left mandibular teeth 6,7 are lost and 5 is the abutment tooth. 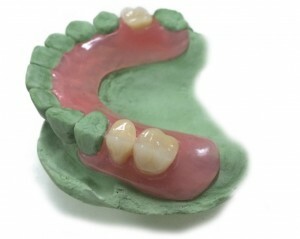 This denture consists of WELDENZ white resin, WELDENZ pink resin and preformed tooth. In this case, the clearance for No. 5 is not enough for preformed tooth. WELDENZ white resin is used to ‘cap’ No. 5 abutment tooth and it also serves as a retention device. This case is difficult to retain. 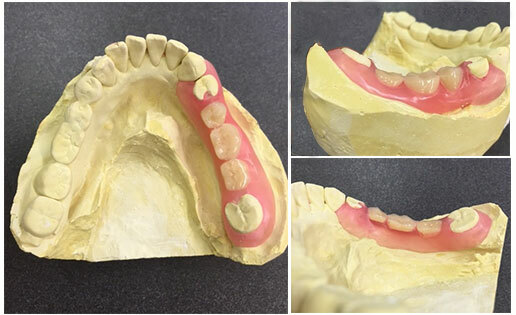 So, we design a ring-type clasp around teeth 7 for more stability and better retention.